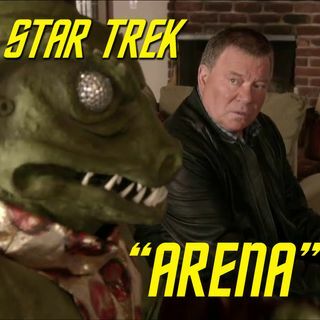 Get your entertainment here this week as New York Times best-selling author Dayton Ward joins us for a look at the most Star Trek episode to ever Star Trek, "Arena"! It's a battle for survival as we discuss Star Trek on the playground, the "Trek episode starter kit", how NOT to learn self-defense, accidental plagiarism, space diplomacy American-style, "warts" as a feature and not a bug, and a superfluous Nabokov reference! Add a few Vasquez Rocks and the ... Maggiori informazioni components of gunpowder and you've got a recipe for an explosively entertaining show! Listen today! Check out Dayton on the web and on Amazon! Enterprising Individuals will be LIVE at CONvergence 2017! Don't forget to like and follow us on Facebook and Twitter!